Data has linked space radiation to problems with cognition, including motor function, learning, attention, short-term memory, processing speed, and cognitive flexibility. Long-term risks include premature aging and Alzheimer’s disease. The National Aeronautics and Space Administration (NASA) created a research program called Anomalous Long Term Effects in Astronauts’ Central Nervous System (ALTEA) that measures the effects of crew members’ exposure to galactic cosmic radiation (GCR). In particular, the investigation is focused on the light flashes that astronauts have reported seeing at night during a mission, which are thought to come from high-energy particles interacting with the brain. 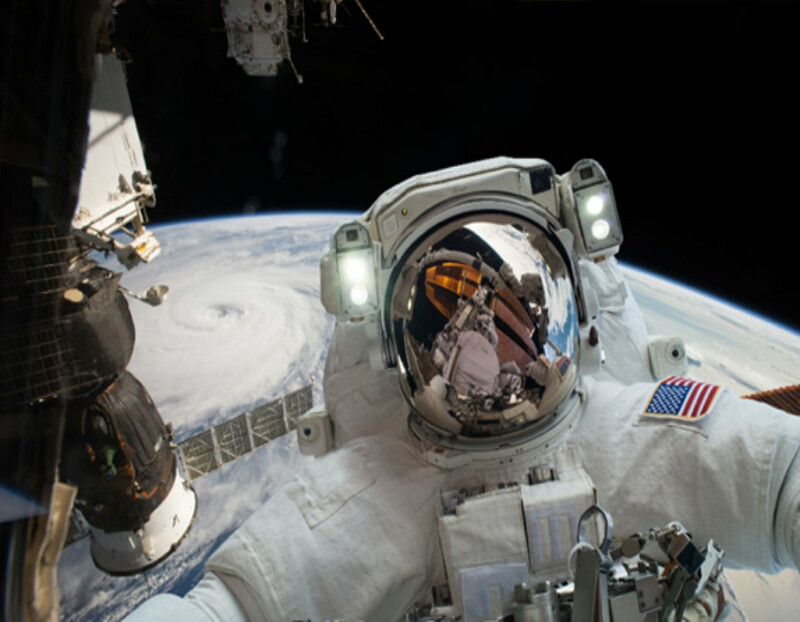 As NASA diligently works to understand how space radiation affects the central nervous system, a key part of its research and protection measures has been equipping individual astronauts with personal radiation monitoring dosimeters featuring the Instadose®+ technology. The Instadose+ dosimeter measures the amount of radiation exposure an individual astronaut receives and wirelessly transmits that information so that it can be viewed on a mobile device or computer. NASA has partnered with Mirion Technologies’ Dosimetry Services Division to ensure that the astronauts can read their exposure on their devices in space, while NASA staff, here on earth, can simultaneously monitor the astronauts’ dose levels on computers. Although not exposed to the higher levels of radiation that exist in space, clinicians who work with medical imaging equipment (medical imaging technicians, radiologists, dentists/dental technicians, radiation supervisors and safety officers, cath lab and interventional medical staff, etc.) are often exposed to smaller amounts of radiation on a longer-term basis as a daily occupational risk. Smaller exposures over a longer period of time, such as the span of a successful career, can be just as deleterious to one’s health. Understanding the real risk begins with knowing exactly how much radiation an individual is exposed to…not just in one day, but every day while working around radiation. Therefore, personal radiation monitoring devices, such as the Instadose+ dosimeter are critical to clinical staff working with and around medical imaging equipment. In this month of thanksgiving, Mirion is thankful to be able to develop cutting-edge technology that can be used to protect both astronauts and other individuals who work with and around radiation. Mirion is honored to collaborate with NASA to safeguard the health of people who so courageously explore unknown realms to further science and healthcare innovation. Space radiation can cause significant problems with the central nervous system. NASA’s Anomalous Long Term Effects in Astronauts’ Central Nervous System (ALTEA) investigates those problems. Instadose+ dosimetry technology allows astronauts and NASA staff to actively monitor radiation dose in space.